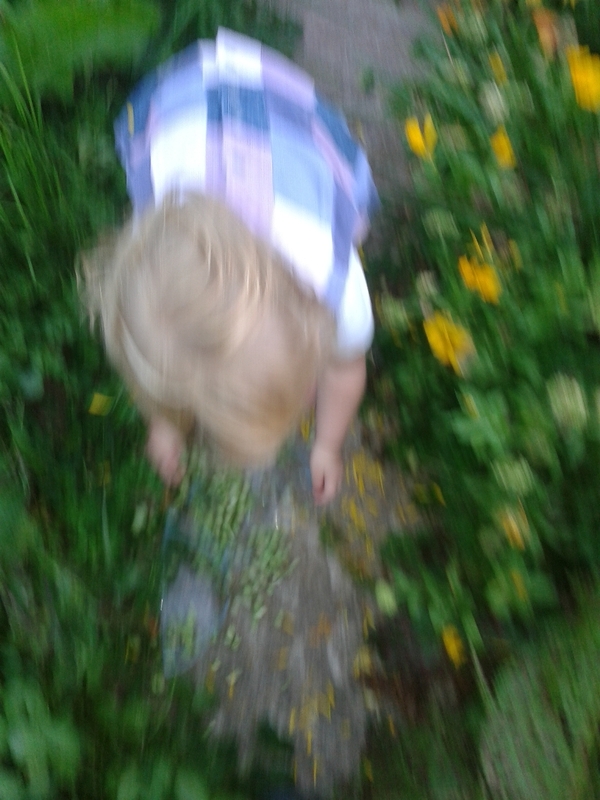 Everything I grow in my veg garden is edible and this includes the flowers (but maybe except a few of the weeds). I grow nasturtiums every year. They look and taste good in salads and they're as great sacrificial plant for bugs to attack instead of your prise winning veg. They also look fantastic and makes me look a far better gardener than I am by having clumps of these brightly coloured flowers growing in every corner. 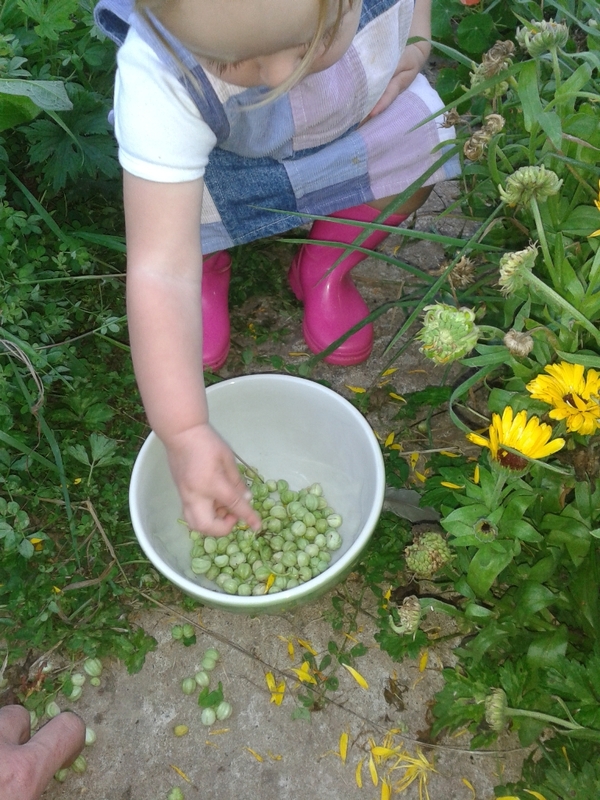 Showing daddy what she'd had picked didn't quite go to plan! 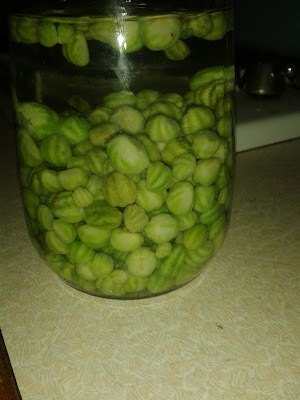 But I read some time ago that you can pickle the seeds and make "poor mans capers" from them. We use capers at least a few times a month with a great pasta dish that my wife cooks called "whores pasta". It's a cheap dish anyway but it would be cheaper if we didn't have to buy capers, and if we could make our own substitute it brings us a tiny step closer to self sufficiency. Smash the bowl (having your little girl smash the glass bowl your picking into is an optional extra in this process, but it's the route we decided to go down). I only made these the other night so I've no idea if they taste any good but it's got to be worth a try for such a short recipe - I'll let you know what they're like in a months time! *Update - see later post for the verdict. I could live off capers! Thanks for this...I'll bookmark it grow the flowers next year! Whore's pasta is a favourite here too! 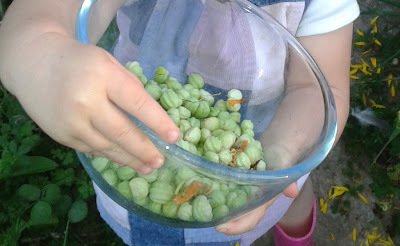 I love capers too but rarely have them because of the expense. I can't wait to try this out. No way! So cool. Thanks!